A few years ago, I saw STEVE SOELBERG opening for someone at the West Valley Wiseguys. His charismatic delivery and every man observations are spot-on. I have really enjoyed getting to know Steve. Please enjoy the interview below, you may learn a few things. I did! Well, the stand-up comedy part of the job is as you would imagine, I’m usually on a stage with a microphone and I’m telling jokes. The skills that I gained there as a stand-up comic have translated to some other jobs that have been a lot of fun too. I emcee a variety of running races as well as corporate events and have seen so many crazy things. I’ve convinced CEOs of major companies to dance the wobble, or college kids to slid on their bellies through mud to win shoes. I’ve also seen many inspirational moments when people work together and believe in themselves to accomplish goals. The major part of my work is talking into a microphone and helping people laugh, celebrate, and enjoy life. When I graduated from college I was working at a lab and not satisfied creatively or financially. I began brainstorming idea for how I could use my talents to satisfy both those needs. I decided to try cartooning because I used to draw a lot as a kid and loved the comic the Far Side by Gary Larsen. I had always been funny but knew I needed to practice so I began by going to the open mic at Wiseguys comedy club. It was huge rush for me and getting laughs was the best feeling ever. I quickly began opening for headliners and was on stage every weekend for about 3 years straight. Nine years have gone by since my first open mic and I’m still in love with stand-up comedy. I respond best to positivity. If I’m feeling optimistic, encouraged, and happy, that is when I want to create and write. Stand-up comedy is unique art form because you are judged while it is being created. I’ve had audiences yell out, ‘this guy isn’t funny’, before I had grabbed the microphone and even said one word. Comedians say you need good audiences to help you write and bad ones to help you edit. I agree but from a creative stand point I can accomplish much more with the good ones who help you believe in yourself. I’ve always admired the way my Dad can tell a story and have the whole room captivated and laughing. I’ve wanted to emulate his charisma and style in my own story telling. I think I’ve captured some of that but then also learned my own style too. I’ve also had consistent help from a good friend of mine Ryan Hamilton. He’s given me great support and guidance along my whole career. 5. How Do You Stay Creative When Doing Corporate Gigs? I try to relax and imagine the audience having a great time before the show even starts. Corporate work is tough because they typically are not used to the cadence of a comedy club and kind of have to be taught how to enjoy a comedy show. I move quickly and get as many punchlines in as possible towards the start so they get used to laughing then I can settle in and start involving them in stuff that has more depth. Some people worry about content and editing for corporate events; is it clean enough. I’ve always tried to write things that are very true to myself, relying on experiences that are my own and I haven’t had to worry much about content and can focus on how to put the audience into my perspective when framing a joke in order to get the biggest laugh. 6. Describe How Your Faith Influences Your Comedy? One of my favorite jokes is about a time I am visiting church members with my Dad. I love it because it’s true and I think the audience can put themselves into a very awkward human moment. I don’t think my faith dictates what jokes I can and cannot tell, though there is some truth to that, but more so it affects who I am and I write my jokes from there. I love stuff that is relatable so for me it has to come from me otherwise it comes across as fake. 7. What Led You To be Involved With RAGNAR? I was lucky enough to be doing stand up when they started using outside talent for emcees. One of their employees came to the show and asked if I would be interested in emceeing an event for them. Of course I said yes and years later I now get to call myself the voice of Ragnar Trail, I love it! I’m a runner so the combination is pretty perfect. 8. What Is Your Favorite Kevin Bacon Movie? Why? Steve Soelberg is hilariously amazing! He rocked the Oddball Comedy Festival in 2014 opening for Louis CK (Louie), Aziz Ansari (Parks and Rec), and Sarah Silverman (School of Rock) just to name a few! Edgy like a butter knife, Steve’s smart, relateable, clean comedy is in high demand and has audiences returning again and again. He’s become the entertainer of choice for many, bringing laughs to over one hundred thousand people at dozens of events in 2015. 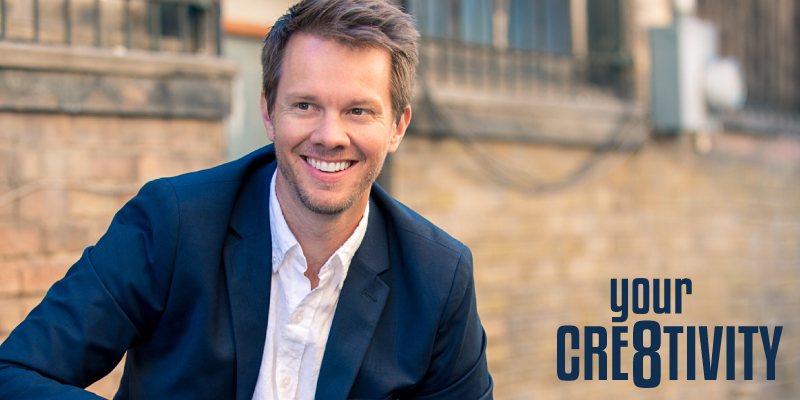 Due to his growing popularity as a comedian, he has appeared multiple times on local TV affiliates (Fox, KUTV, and KSL) as well as on the nationally recognized Today Show. Steve’s observational story telling style of comedy leaves his regularly sold out audiences in stitches and feeling as if they were just the person he wanted to tell the story to. Traveling the country not only as a comedian, but also as the voice of the Ragnar Relay Trail series, Steve’s fans span from Seattle, Washington, to Washington D.C.. This is an act you will not want to miss.